In a recent article by the Wall Street Journal (WSJ), Michael Kitces predicts employee benefits are vanishing. Not vanishing altogether, but rather morphing from a “defined benefit” model, where the employer picks the specific plan and benefit available to employees, to a “defined contribution” model, where employees are given an allowance and left to make their own healthcare spending decisions. Not surprisingly, the article has generated significant debate about the future of employee benefits. 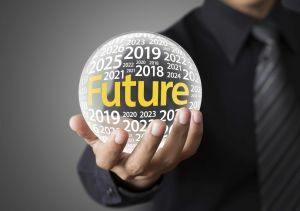 In this article, we’ll highlight Kitces’s predictions and add our own commentary about the shift in employee benefits. Kitces discusses the shift from defined benefits to defined contribution health benefits. To understand the shift, think of retirement benefits. Gone are the days when most companies offer retirement pensions (a “defined benefit”). Now, it is commonplace to offer contributions to a 401(k) (a “defined contribution”). Commentary - There is a major shift occurring in health benefits from employers offering a specific health plan (or plans) to giving employees a healthcare allowance and letting them decide how to spend the funds. Kitces is not alone in his perspective. Several economists and industry leaders have published predictions on this trend, as well. For example, economist Peter Orszag, the former Director of the Office of Management and Budget, wrote in 2011 that the shift to defined contribution health plans would gradually take over the health insurance market over the next decade. Bruce Brussard, the CEO of Humana, stated that "health insurance will go the way of pensions," also comparing the shift from defined health benefits to defined contribution health plans to the shift from retirement pensions to 401(k)s.
As the article explains, one of the drivers of the shift to defined contribution is the growth of the individual health insurance market. As Kitces discusses, the Affordable Care Act (“Obamacare”) made substantial changes to individual health insurance, including opening of the Health Insurance Marketplaces, making individual health insurance guaranteed-issue, and providing discounts for individual health insurance. These new advantages, as well as increased infrastructure, are driving forces in the shift to defined contribution health benefits. Commentary - We frequently write about the new advantages of individual health insurance and how this is sprouting growth in the individual market. How much is the individual market poised to grow? Different models and projections exist. For example, according to a 2012 analysis by the Centers for Medicare & Medicaid Services (CMS), there were 14 million individual health insurance policy holders in 2011. In 2014, CMS expected that this number will increase to 20 million, and jump to 31 million by 2020. In Zane Benefits’ recent book, The End of Employer-Provided Health Insurance, authors Paul Pilzer and Rick Lindquist predict the number of policyholders in the individual market will increase to more than 150 million by 2025. Change is hard. Employees are used to receiving health insurance coverage from their employer. It may feel like benefits are going away. But as Kitces discusses, the change to defined contribution can be positive, both financially and coverage-wise, for employees. It’s not taking away of benefits, it’s simply changing the model of payment and selection. Commentary - Employee benefits are not vanishing. They will always play an important role in employee compensation. When the change will happen, and how the change will happen, is still to be seen. No one has a crystal ball, but what we are seeing is that small businesses (especially small businesses who do not currently offer traditional health insurance) are already adopting this approach as solution to offering employee benefits. Readers’ comments and responses to the article also lend perspective. From skepticism about the level of employer coverage to excitement about being able to chose their own health plan, the comments provide a snapshot about where we are now with employee benefits, and the perception of this (inevitable?) change. It’s unlikely that employee benefits are vanishing altogether. They are too important to employee compensation and retention. However, a shift is occurring from a traditional defined benefit model to a defined contribution model. The change happening now in small businesses will spread to the majority of the market in the decade, or decades, to come. What do you think about Kitces’s predictions? Are employee benefits vanishing? Will a defined contribution model really take over employee benefits? Join the discussion below.